Nokia's much-vaunted partnership with Microsoft for Windows Phone 7 handsets is coming to fruition, with specifications for the devices being liberally plastered across the internet. First up is the Nokia Sea Ray, which is said to ship with a Clear Black Display 3.7-inch amoled screen, a Carl Zeiss eight megapixel autofocus camera and 16GB of internal storage. It will run Mango WP7.5 on its 1.4GHz processor, powered by a 1540mAh battery. The Nokia Sabre, which we first reported on last week, is for those of you who loved the Nokia 3210's swappable fascias back in the early '00s - it comes with interchangeable back covers. In addition, it is set to offer what seems to be the same 3.7-inch amoled screen as the Sea Ray, but internal storage is reduced to 8GB and the camera ships in a 5MP variety. So far, they seem like fairly standard mid-range smartphones, but Nokia's still able to pull some punches with its Nokia Ace. This includes a whopping 4.3-inch Clear Black Display AMOLED screen, an 1800mAh battery and a Carl Zeiss 8MP snapper. Apparently it will also ship with HSPA+, making it Nokia's first LTE 4G handset. 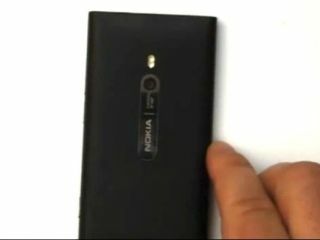 Expect to finally see at least one of the phones in the flesh at Nokia World 2011 on 26 October.